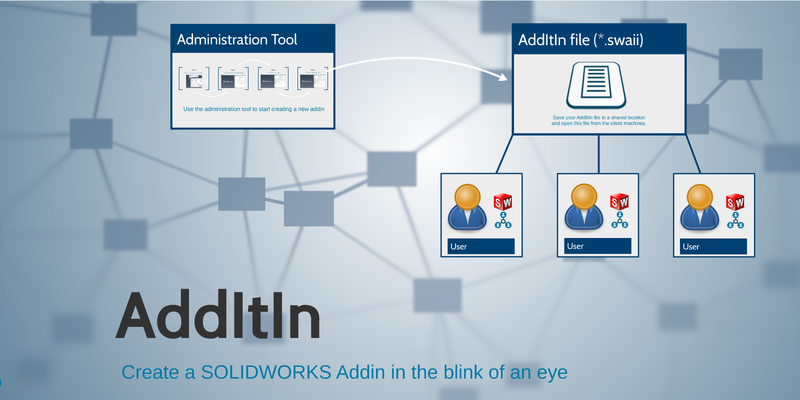 AddItIn is a new addin for SOLIDWORKS that enables you to fully embed your SOLIDWORKS macros in the SOLIDWORKS interface. As an administrator you can easily deploy and manage your macros as a professional addin, without the need to recompile and deploy your addin on every change. Furthermore you don`t need to have advanced programming skills or professional programming software to create your addin. 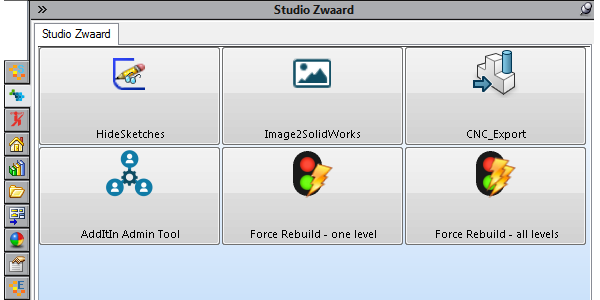 Run macros in the background on certain events. E.g. 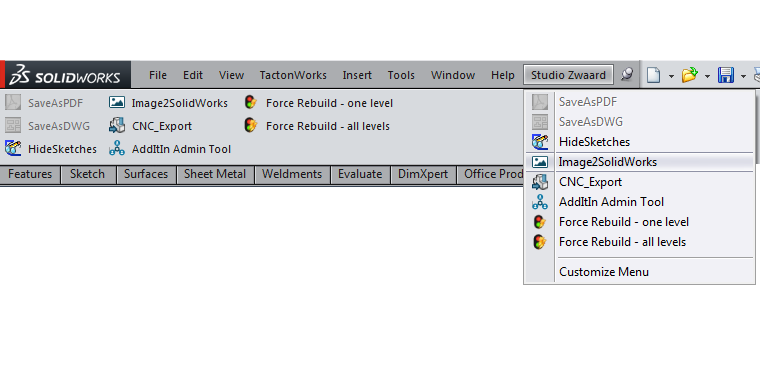 to reset mandatory setting or to export data.